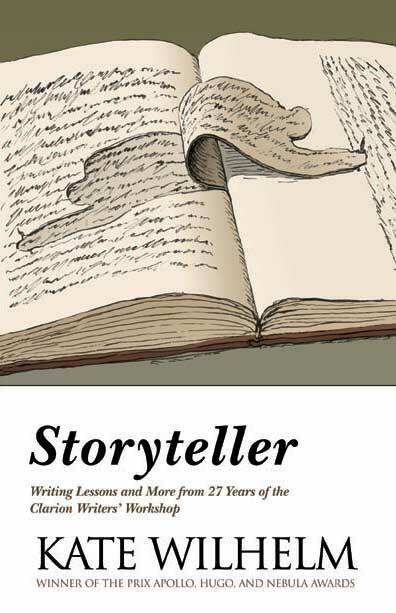 I never thought I’d get to read Kate Wilhelm’s Storyteller: Writing Lessons and More from 27 Years of the Clarion Workshop for reasons other than a passive interest in how the Clarion Workshops came to be. But now that I actually stand a damn good fighting chance at going to Clarion San Diego, Storyteller immediately rose to the top of my to-read list. What can I say about it that hasn’t already been said in much better ways? Nearly every Clarion graduate recommends it to incoming students, often with glowing reviews. I love Wilhelm’s use of clear, concise words to convey her points; her fond, mama-hen-like tones when talking about specific incidents–whether these are about water gun fights or specific workshop sessions. I love how the writing lessons she chooses to include are very nuts-and-bolts, and yet, not at all preachy or technical or jargon-filled. Plus, the index toward the end saved me from having to highlight passages I liked very much. Best of all, you can apply these lessons in writing, etiquette, love, and life to just about any kind of story, not just Science Fiction or Fantasy. I came to Storyteller looking for information about the workshop that I wanted to ask and didn’t even know I wanted to ask the coordinator in our email exchanges, that I was often unable to find even combing through this wonderful index of Clarion-related blogs curated by Liz Argall. For sure, I did not get direct information, but by reading through the slow, turbulent history of the workshops from the 60s and 70s, I think I know a few things already, like which traditions they might have kept. I hope the cafeteria food isn’t as bad as so many people say. It doesn’t tell you some things, like how to prepare for Clarion way before you arrive, or how to manage your time well, or how many stories you should churn out during your stay, or which events should you attend or skip. I am starting to realize that those are the things you either find out when you get there, or for yourself through trial and error. I finished reading the book feeling as if I had my fill of the most satisfying appetizer. Can’t wait for the full course in June.